Net designed for a 45° ceiling sloping down to a low jamb wall. The net is lifted to enter and is made of robust polyester netting. 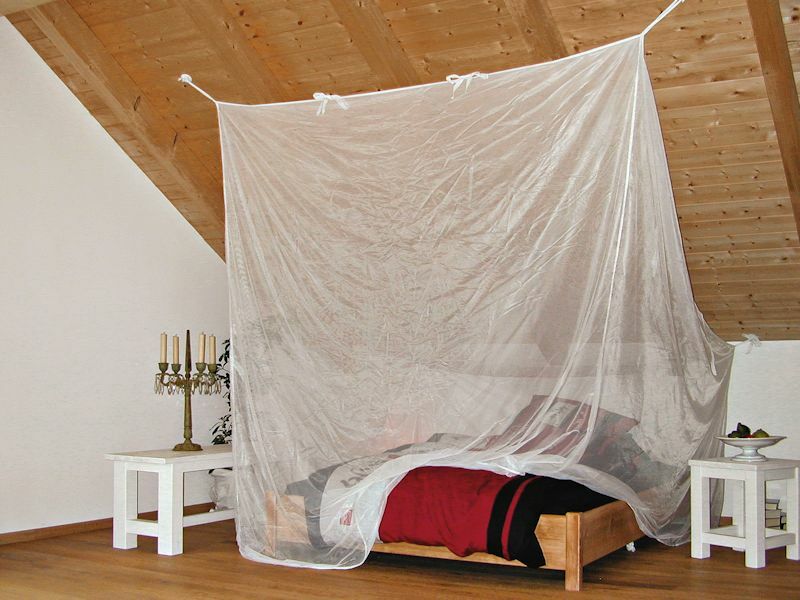 For high quality spacious mosquito protection and beautiful room decoration we handmade here in Germany these highly decorative and practical mosquito nets.